Aromatherapy is one type of alternative medicine that makes use of vaporizing plant materials in the form of essential oil. This method serves the purpose of altering a person’s mood, psychological functions, and general health as well. The term alternative medicine actually refers to any type of healing method that does not follow the rules of conventional medicine. Instead of having a foundation that’s backed by scientific evidence, it is based on traditions and history instead. 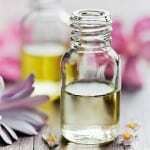 The method of Aromatherapy uses essential oil as the main component of the entire procedure. The process can be traced back to ancient origins wherein dried plants are steeped in oil and filtered to produce the end product which is known as essential oil. This component has shown anti-microbial effects, although its bacterial, viral, and fungal efficacy remains in question. Due to lack of sufficient studies, followers of Aromatherapy depend on the individual results that are reported by patients and sufferers of certain ailments. This method of alternative medicine makes such bold claims as having the ability to treat and prevent certain types of diseases through the use of essential oil. It can allegedly cure pain, and it is supposed to be good in reducing anxiety and stress as well. The scent of the essential oil is said to have an influence on the brain, and this in turn will send a message to the particular part of the body affected to relieve the symptoms of pain and discomfort. Compared to traditional medicine, Aromatherapy has no harmful side effects. And that’s why people are particularly favoring this method of treatment over conventional methods. In fact, this type of therapy is so popular that essential oils are now considered to be necessary in spas and massage parlors. Aromatherapy products are highly advertised too, and you can easily buy candles and incense sticks that have different essential oil scents. These are mostly used for relaxation and meditation at home and in beauty salons. Setting up an Aromatherapy environment is not that expensive. You can purchase a diffuser for only about $10 to $20, and this can be used at home, in the car, or in other special rooms in the house. The essential oil components can be easily purchased in bottles too. A small bottle can be priced at only about $2 and a whole set of essential oil products with different scents can be purchased for about $20 or so. Some of the most common scents of essential oil include lavender, eucalyptus, orange, tea tree, peppermint, chamomile, and rosemary. There are 3 ways to use the aromatherapy procedure. As an aerial diffuser, this will give you a fragrant and pleasing atmosphere while also disinfecting the air. You can also use this method for direct inhalation wherein it can clear decongestion and other respiratory problems. The procedure is also popular as a topical application, as you can use the essential oil to massage the body and as a main component in skin care products. Although Aromatherapists claim that this type of alternative medicine is indeed effective in treating pain and other forms of discomfort, the fact remains that it lacks sufficient clinical studies. All the reports are therefore inconclusive, as the efficacy of the method really has no basis at all. Still, followers of alternative medicine find that the method is most effective when combined with other healing techniques. And this is reason enough to continue using it. Based on positive feedback Aromatherapy does seem to work. The studies on this method of alternative medicine are too limited to make any definitive conclusion as to if effectiveness. Although there are a lot of reported cases that the procedure does indeed work well, this can also be attributed to the placebo effect or power of the mind. If one believes that the method is effective in treating an ailment, the body responds in a positive way. Because of the lack of scientific studies on Aromatherapy, we are not recommending this procedure in curing diseases. However, we are recommending the use of essential oil for relaxation purposes, as the scents from these oils can really give a soothing effect on the mind and body. It is recommended that you consult a doctor first if you have other health issues or if you are pregnant. There are certain types of essential oil (thyme, tea tree, basil, etc.) that can stimulate contractions in a pregnant woman, and this can result in miscarriage. Likewise, those with respiratory problems might also find some of the scents used in Aromatherapy to be too irritating. What do you think? Does Aromatherapy work or not? Do Air Gliders Really Work? Does the Body Brush Exfoliation System for Dry Skin Really Work? The best thing about aromatherapy is you can take it with you, is not expensive and you can do it yourself. For me it definitely works, is not a pill but it makes me relax with lavander scents or become more energetic using citrics. It could be all in my head but I find that if I use relaxing aromatherapy scents, such as lavender, I become instantly more relaxed and happy. Aromatherapy can act as a peaceful act inside your home bringing about a more calm and inviting environment. I have personally never tried applications like direct inhalation but if I even found the need I would be likely to try it because of my success thus far. There is a certain power in scents that is found on the human body and aromatherapy is just another way to create peace in your life. I absolutely love Aromatherapy. I don’t know if it helps my illness, but is so relaxing and makes your home smell so good. The oils are affordable and you can choose all types of oils and scents. I use them every day especially after a stressful day. It helps you to relax and fills your home with a wonderful scent. You can find the oils just about anywhere at a great price. I bought some at a flea market for $2.50 each. What a bargain! They do help you to relax and make your home smell good too!